If you want to filter a GIF using an Instagram-like filter before posting it on Twitter, Tumblr, or any other platform, you’ll need to find a different filtering tool to make your GIFs fabulous. In this post, I’ll describe how you can filter your GIFs on your phone or computer with a free website called Kapwing. Here’s the sad news: Instagram doesn’t support GIFs. If you try to upload a GIF to Instagram, it won’t move. It just looks like an image. 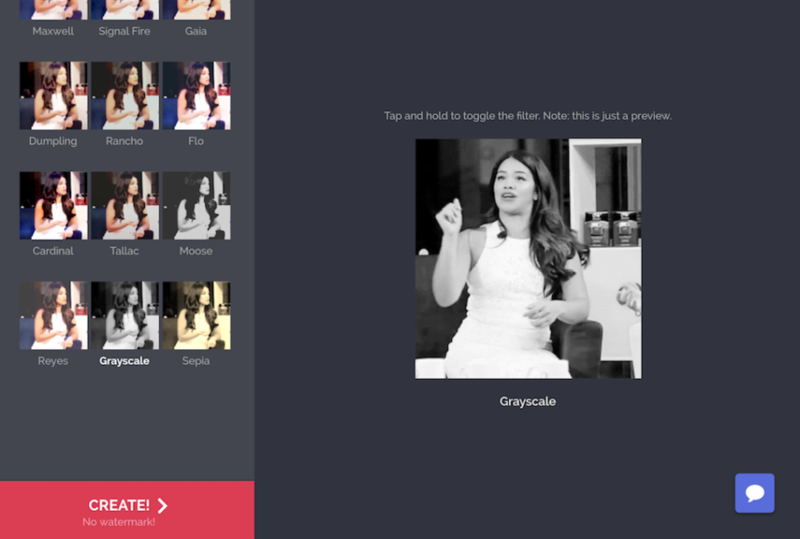 Instead, you’ll need to use an online tool to filter your GIFs. This tutorial explains how. Go to Kapwing’s Filters tool and upload your GIF. You can either upload it directly from your phone or computer or paste a link to Giphy, Google Drive YouTube, or wherever else you store your GIF. Click on the “Adjust” tab to change the brightness, saturation, and contrast. You can also add fade and vignette to the GIF. Once you’re happy with your GIF, click “Create” to process the edits. 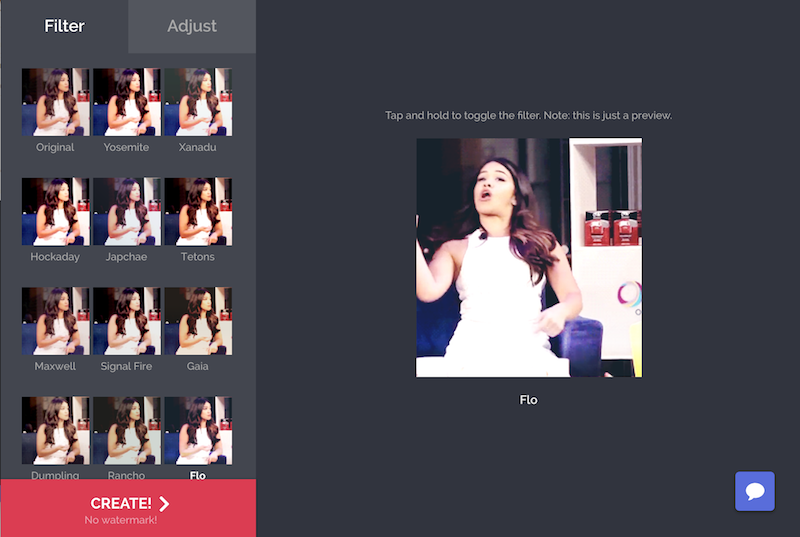 Then you can download your filtered GIF and share it on Instagram, Twitter, or other social platforms. (Kapwing turns the file into an MP4 so that you can share it on IG, but you can convert your MP4 output back to a GIF with their Convert Tool). Happy GIF-ing! Hopefully this article helps you give the same color correction and effects to your GIFs that you give to your images and videos. 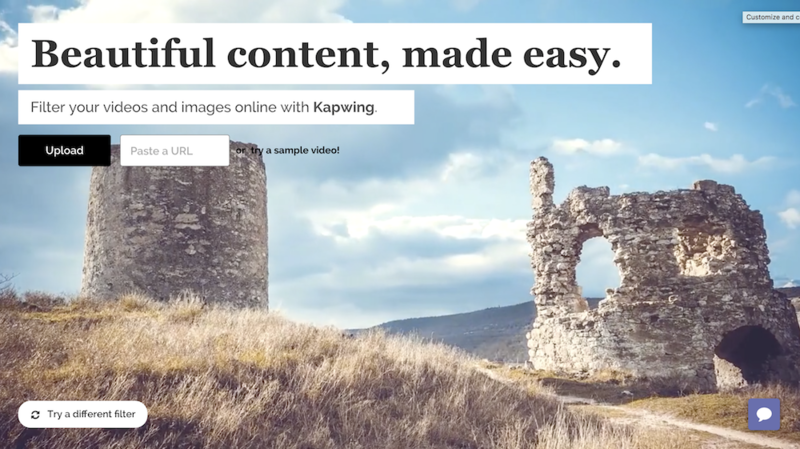 Kapwing’s filter tools supports all types of visual media, and it’s free to use (although you do need to pay a fee to remove the small watermark from the corner). Thanks for reading, and as always we would love to hear your thoughts, comments, and ideas over email or Twitter.